A light weight portable generator with inbuilt Ozone destruction cycle to remove Ozone after use. 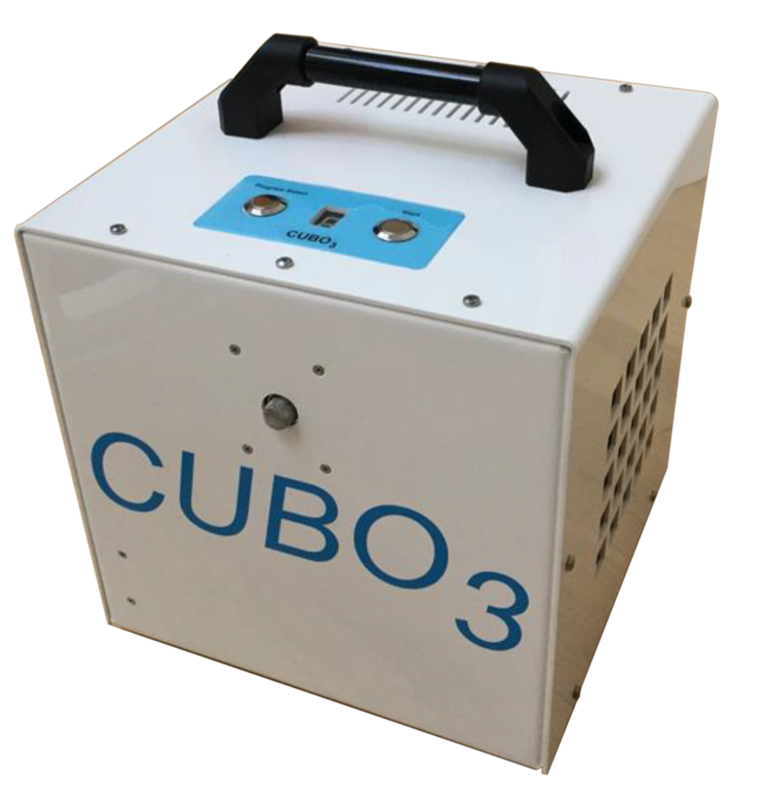 CUBO3 Delux can be controlled remotely with a wireless connection from smartphone or tablet. This unit is easily portable, and so is suitable for sanitisation of smaller rooms and multiple rooms applications. Ozone production capacities of up to 8gr/hr are available, with 8 programmes of use from 15 minutes to 24 hrs.